(CNN) - New Jersey Gov. Chris Christie spends Tuesday in New Hampshire. Christie's heading to the Granite State to help out Republican gubernatorial nominee Ovide Lamontagne, as he tries to win back the governor's office for the GOP. 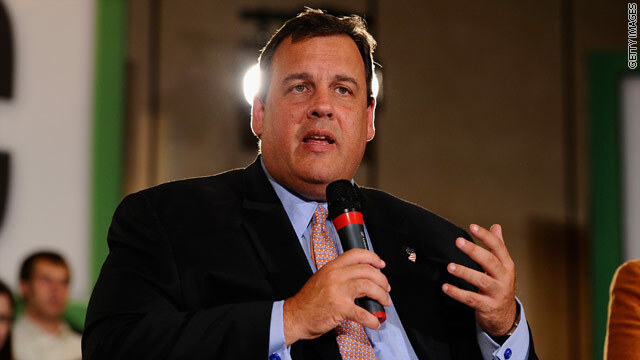 Christie is currently vice chairman of the Republican Governors Association. This is Christie's first visit to New Hampshire since January, when he was in the state stumping for Mitt Romney just ahead of New Hampshire's primary, which traditionally follows Iowa as the second contest in the primary and caucus calendar. Christie did speak with New Hampshire delegates attending the Republican National Convention in Tampa late last month. The first term New Jersey governor gave the keynote address at the RNC. And he was recently in Iowa to fundraise for conservative Rep. Steve King's re-election. The trips to Iowa and New Hampshire are raising speculation that Christie could be laying the groundwork for a possible 2016 White House bid if Romney doesn't win the presidential election this November. Some Republicans had urged Christie to run for the White House this cycle. Last autumn Christie put such speculation to rest when he endorsed Romney for the GOP nomination. The former federal prosecutor was first elected New Jersey governor in 2009, and faces re-election next year. The Big Apple must have given up on Romney. Christi continuing to "audition" for 2016-–in NH, for today. I think he just got mixed up. "New Hampshire" sounds a bit like "New Jersey".